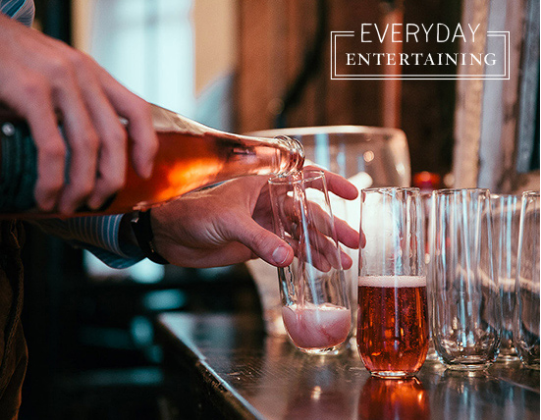 Food stylist and cookbook author Susan Spungen knows a thing or two about entertaining. 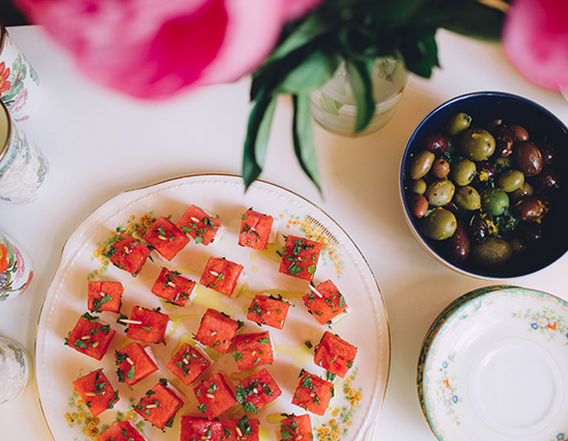 Food stylist and cookbook author Susan Spungen knows a thing or two about entertaining. Whether styling food on a film set (she's worked on movies like Julie & Julia and Eat Pray Love) or throwing a party for 50 guests, Spungen's philosophy boils down to three things: Keep it simple, less is more and-when you can-make it homemade. 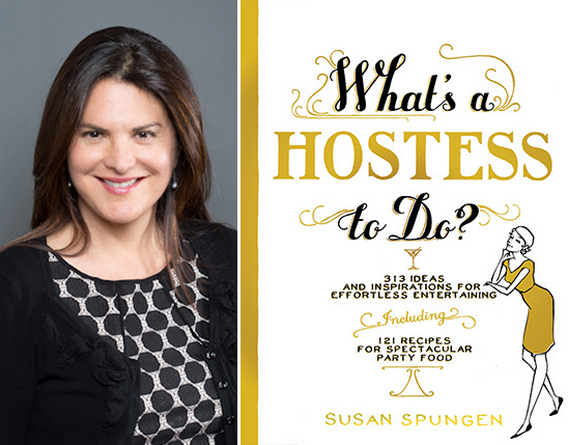 Her most recent book What's a Hostess to Do ($18) is must-read for at-home cooks, with more than 300 ideas, recipes and checklists for tackling everything from a simple wine-and-cheese party to an elaborate Thanksgiving spread. Keep a stocked pantry. "I always have a chunk of Parmesan and other hard cheeses on hand, becaue they keep longer," Spungen says. "I love putting out olives, good crackers, hummus and raw vegetables like radishes, cherry tomatoes, carrots, fennel or bowls of nuts or homemade popcorn. If I have extra time, I might thaw some frozen tart or pizza dough. And of course, mixers and wine!" Have a house cocktail. "Create a signature cocktail and always keep the ingredients on hand. That way, if you have last-minute guests pop over, you can mix up a pitcher and have it ready to go," says Spungen. Presentation matters. "Keep a small collection of pretty platters, bowls, cheese boards and napkins (either cloth or paper). Presentation is so important!" says Spungen. "You can even order take-out and serve it on nice platters, and make it a night." Get a game plan. "You still need a compressed timeline, even for last-minute gatherings. Start planning as soon as you know," advises Spungen. "And enlist help: Have friends bring wine, or a dessert or salad." Cook what you know. "Plan to cook something you've made before; something that you're really good at. Think fresh, simple and seasonal, and stick to what you would normally cook for your family, not for guests. When you're comfortable with a dish, you know what to buy and how to cook it-it makes it a lot easier." Never apologize. "Try not to tell everyone what a bad cook you are. Julia Child said, 'Never apologize at the table.' She's right-it makes people feel uncomfortable. Even if you make a mistake, don't say anything-chances are, people won't notice anyway," says Spungen. Easy does it. Spungen's favorite last-minute appetizers include quesadillas made from leftovers; she also keeps gougères in the freezer, along with sliced baguettes that make the base for a quick bruschetta with cherry tomatoes and fresh ricotta. For dinner, grilled shrimp or fish tacos come together in a flash, and even a seared steak with an iceberg steakhouse salad. "It's all so easy, but people go nuts," says Spungen.